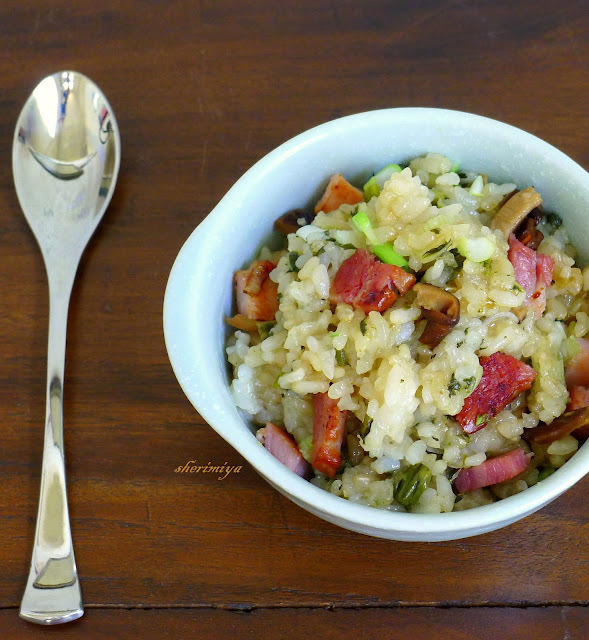 Sticky Rice and Canadian Bacon Bento Bowl, a photo by sherimiya ♥ on Flickr. Twitterfoodparty showed up this month in the form of bacon. You can check out this month's submissions on twitter by searching the hashtag #twitterbaconparty. I rarely cook bacon at home but happened to need a gluten-free alternative to lup cheong for the sticky rice (method here) I was planning to make. Most Chinese sausages and deli meats are marinated in shoyu, making them no-nos in a gluten-free diet. I steamed some sliced lup cheong separately to be mixed in everyone else's servings, but TinySprite was satisfied with diced and pan-fried Canadian bacon in hers. The overall flavor just wasn't traditionally the same, but it'll have to do, since I don't plan on learning how to make my own Chinese sausage! It was still tasty enough, though. 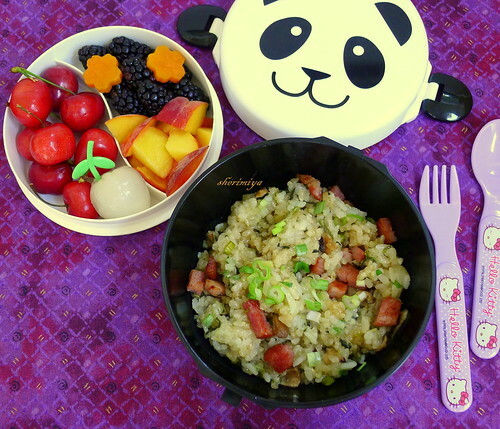 I packed some in her favorite panda bento bowl, along with a selection of fruit in the top tier: cherries, lychee, blackberries, peach, and sweet potato. Next month's theme will be strawberries! Mmmmmm bacon! Now you have me dreaming of a big bowl of sticky bacon-y rice goodness. Yum! Yenny, it was good. Thanks! Hmm.. 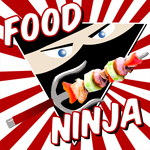 I can volunteer myself to try this with lup cheong , with bacon and with both! No problem, three bowls please? Oh yes! And cherries for dessert! Oh yeaH!